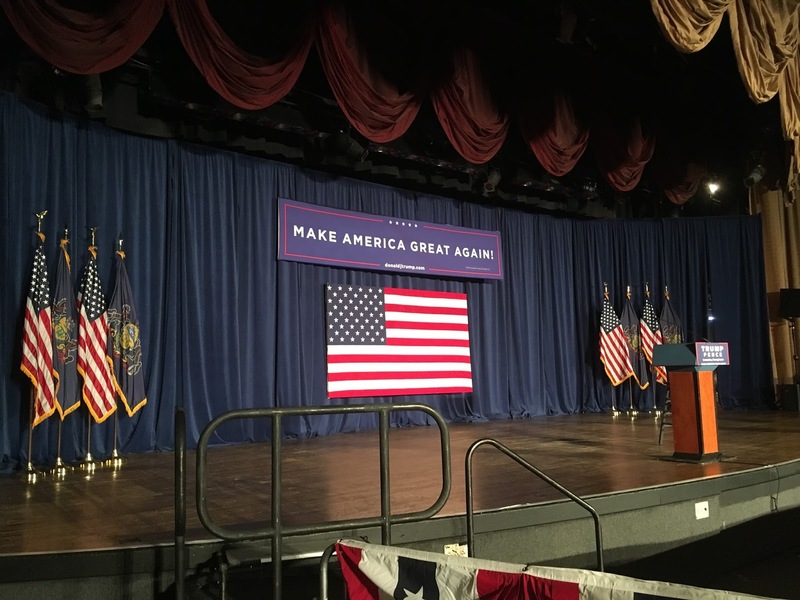 Several presidential campaigns have visited Lancaster County in the past. President Ronald Reagan came in 1984. George W. Bush came in 2001. Bernie Sanders came just last April. 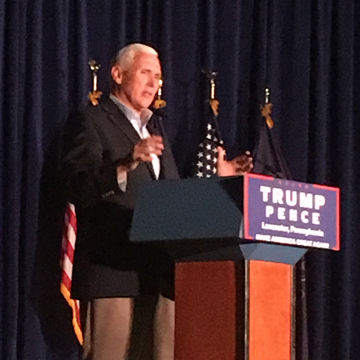 On August 9, I had the privilege of attending a Mike Pence rally at the Lancaster Host Resort. Pence is currently the Governor of Indiana and running mate of Republican nominee Donald Trump. One of the first speakers was David Dumeyer, Chairman of the Lancaster Republican Committee. 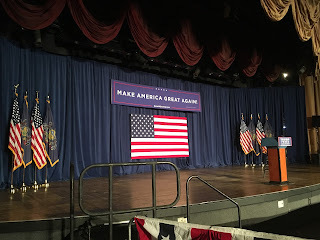 He told a rowdy audience, “There are two things we love to grow here in Lancaster: agricultural crops and Republican victories.” Local and statewide candidates also spoke, including Keith Greiner, Scott Martin, and Otto Voit. After several minutes of waiting, Gov. Mike Pence walked onto the stage and received a standing ovation from the crowd. It was a bit surreal to witness in person what would normally be seen through a television screen. Thankfully, I had the opportunity to sit in the second row. When Pence came to our side of the stage, I gave him a thumbs up. He saw, pointed to me, and gave me two thumbs up back. And that, my friends, was the closest I got to meeting Mike Pence. It was a tremendous experience, and I am extremely glad I went. The only thing that puzzles me is why Mike Pence isn’t the Republican nominee. Disclaimer: I am a Republican who believes in conservative values, such as limited government and liberty. I don’t support Donald Trump. I just don’t support Hillary Clinton more. My problem with Trump is not so much his proposals but rather his lack of principle. That said, Mike Pence is the man!